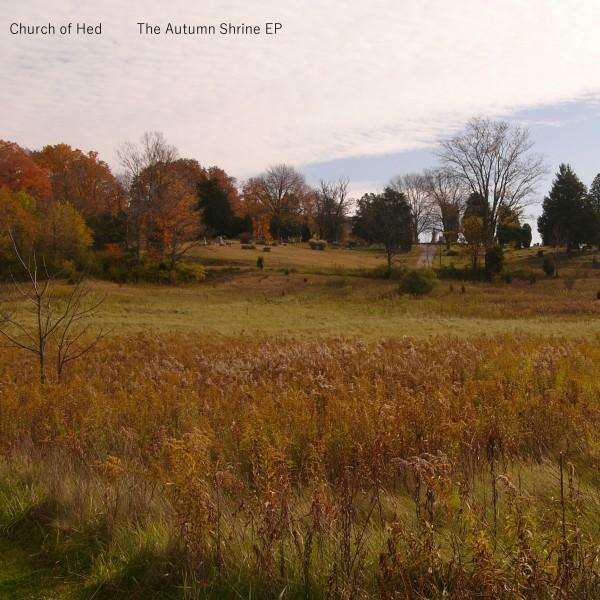 Hot on the heels of Church of Hed’s Electric Sepulcher album is the 3-track The Autumn Shrine EP. If you read the interview with Paul Williams that accompanied my Electric Sepulcher review (CLICK HERE) you would know this was on the way. The mainstay of the EP is the nearly 14 minute The Autumn Shrine (Parts I-III), which Paul describes as “Floyd rides a Camel to Berlin School”, but also, tellingly, as “a requiem for Quarkspace”. The piece kicks off with a combination of melodic Quarkspace-ish piano and Space-Prog keys and a beat that grooves along steadily for the first four minutes. The theme shifts to a pulsating electro pattern, swooshing synths and garbled voice samples with a cool blend of robotic syncopation and aquatic swish. I like the dark Mellotronic and electronica tension before developing into a Quarkspace meets Van der Graaf Generator motif that eventually smooths out to an uplifting Space-Symphonic finale.